Wearing a pullover sweater is not something wrong for 2014 summer trends outfit. Although it’s kinda strange for hot weather on summer day, but if we live in tropical countries it would be something necessary. To protect skin by the sun storm, we need to cover out body with long clothes. And maybe some of you it will be a problem because we can’t be fashionable when summer comes. The answer is “Don’t worry about that”, we can still get fashionable look with outfit paired with pullover sweater. There is a bunch pullover mode to add our outfit look better. Maybe get fashionable with sweater already trends by along year ago, and we just need to developing the style. 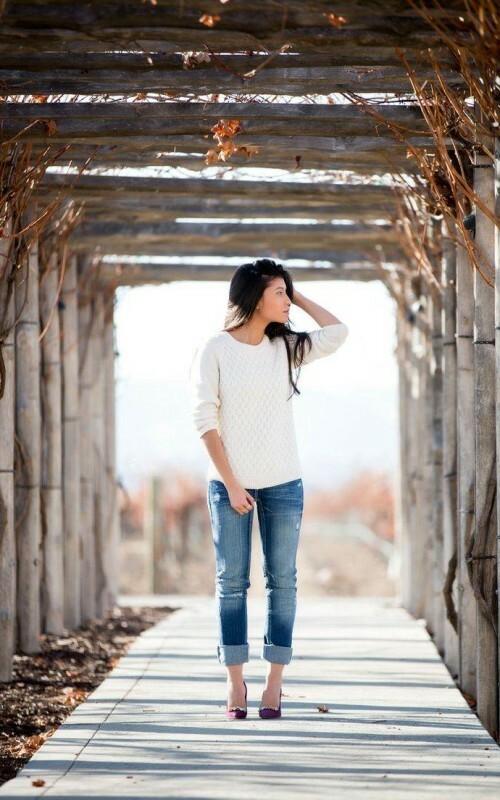 Some fashion bloggers we got by pinterest already shared some look which they wore pullover sweater to summer fashion. As we can see at the following photos below you will get the look how to paired sweater with other outfits. For example, sweater with lace short and just wearing boots. That would be great! Another snapshot, we will get maxi skirt paired with pullover sweater which make your summer day look brighter and looking fresh. And the simple ones, we only need to pair the sweater any color with short, it good with jeans or just short. Depending on the sweater color we choose, don’t be wrong to pick the right one for the color of bottom your outfit. And how about the accessories? Choose the simple ones, also for the shoes or just sandals.